Lookout's mobile security suite now includes thefties taken remotely from a device's front-facing camera. 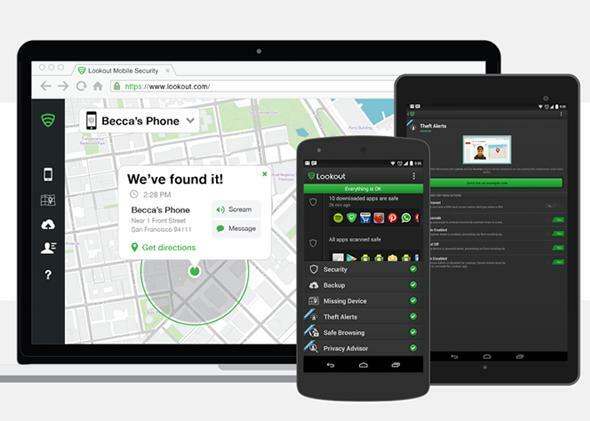 Lookout makes mobile security products for Android and iOS. The name may come from a cheery social phenomenon, but thefties are a little more serious. They’re photos of electronics thieves taken with a tablet or smartphone’s front-facing camera. The goal is to give police something to go on if your device is stolen, or let you ID the culprit if it’s someone you know. The mobile security company Lookout is marketing thefties as part of its software suite for iOS and Android. The service currently sends you email alerts when it seems like someone is tampering with your device (by entering incorrect security codes, trying to uninstall software, etc. ), and then GPS-tracks it so you can locate it from a browser. But now the thefties feature will also activate the device’s front-facing camera and stealthily photography whoever is staring down at it. You get the photo in your inbox with a map pointing to the device’s location. This is the theftie.